I never tell our church staff, volunteers or congregation that we need to grow. And I never use the term Church Growth when I speak or write about churches getting healthier, stronger and having greater ministry impact. If that term still works for you, that's great. But I'm done with it. The phrase Church Growth is packed with too much emotional baggage. It’s interpreted by different people in such different ways that it’s become virtually useless in my context. I’m not upset about it. And I’m not rejecting the Church Growth movement, per se. It’s just that some terms work in certain times and places and not in others. Church Growth is one of those terms. It’s not universally useful. In fact, it’s a relatively new term, popularized by Donald McGavran in the 1950s and ‘60s. Until then, the church grew without commonly using the term Church Growth, and it will continue to grow whether-or-not we keep using it. For some people, Church Growth is shorthand for getting healthier and reaching more people with the good news of Jesus. Under that definition, I’m all for it. 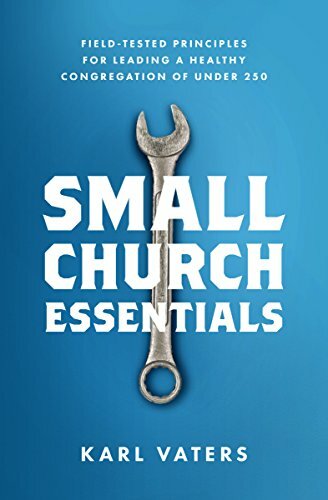 But for others, Church Growth is often presented and/or interpreted as “if you’re doing the right things your church will get bigger – and if it isn’t getting bigger, you must be doing something wrong.” Under that definition, we have some disagreement, as I’ve outlined in posts like We Followed the Steps – Where’s the Church Growth? So, if I don’t use the words Church Growth, what do I use to let people know that we want the mission of the church to move forward, reach more people and contribute to the advancement of the kingdom of God? We are always striving to increase our capacity for effective ministry. I’m not expecting this phrasing to catch on anywhere else – it’s too wordy to be catchy. But it does have several advantages that work for us in our context. Not just doing more stuff or packing more people in the room.